It seems that the Valentine day vibes are spread all across Bollywood and celebrities are leaving no chance of showering their love on their partners with these romantic photos. 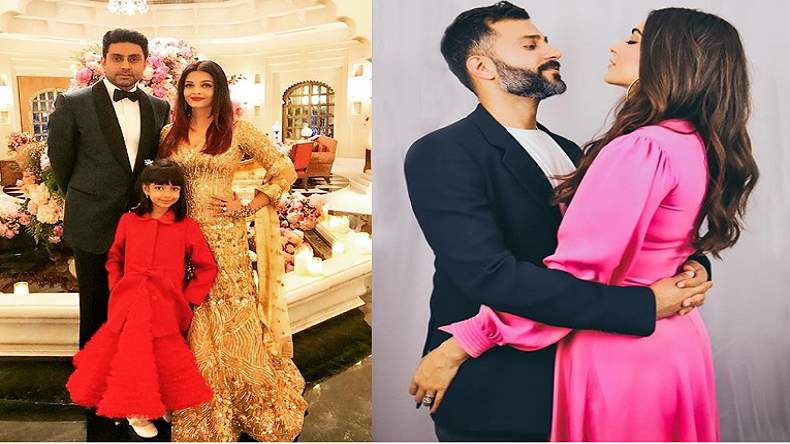 Though the fans are eagerly waiting for the newlywed couples to upload their love dose on social media, whereas celebrities like Shilpa Shetty, Bipasha Basu and Aishwarya Rai are one step ahead and have already posted some adorable photos. The day is filled with love and affection and some of the people who love their loved ones from head to toe are planning something special to make their partners day more special. From uploading pictures to romantic Tik Toks, there should be no single way left to wish your partner the special day. Recently Aishwarya Rai uploaded a picture with her family depicting how much connected she is with her family. Meanwhile, Sonam Kapoor also took to her official Instagram to wish her husband Anand Ahuja valentines day. Like every time, Bipasha and Karan also left no stone unturned to wish each other in a pleasing yet romantic way. Love can be felt at any point of age and this is well proved by beauty queen Shilpa Shetty. Recently, she also wished her husband Raj Kundra with a lovely video on Instagram. Not only the pairs, actors like Kartik Aaryan also took to his Instagram handle to celebrate Valentine’s day with his fans.